What is marketing? In essence, to market is to conceive, price, promote, and distribute your ideas, goods or services to meet individual consumers or organizations’ needs. Every organization has to successfully market its products and services. Marketing is an important tool to attract new customers, raise awareness, and build lasting relationships. If the marketing is effective, it can help you to increase your sales and secure your competitive advantage. Customers today are overwhelmed by choices. Marketers use communication and advertising approaches to convince customers that a given brand, including its products and services, is exactly what they need. As you market your brand, your focus should be on fulfilled your customers’ current and future needs. Your marketing approach influences your sales techniques, so cooperation and communication among your team members are crucial. Everyone in your organization should own the marketing campaign. Marketing is a crucial aspect of an enterprise and needs research, planning, time, and financing to succeed. One very popular form of marketing is affiliate marketing, a performance-based approach where a business pays one or more affiliates for each visitor or customer the affiliate has attracted. Affiliate marketing is characterized by four elements. These are the dealer or brand, the publisher or exhibitor, the network and of course the customer. In fact, the market has become more complex, which is why other players, such as third party vendors and super affiliates, are currently available. Affiliate marketing is somewhat similar to other Internet marketing methods because business partners often use regular advertising methods. Among these are organic search engine optimization (SEO), content marketing, email marketing and display advertising. Among the less traditional techniques are services offered by a partner or publication of product reviews. Someone has said that affiliates are an extended distribution organization for the company, but the term 'affiliate marketing' goes beyond that. There are also some differences between the two. One of these refers to the fact that affiliate marketers have little or no influence on a possibility in the conversion process after the potential client has reached the advertised website. Advertiser sellers can manage and control the process to the point where the client makes a purchase or signs the contract. Amazon Associates is Amazon's Affiliate Program, which allows you to earn up to 10% commission on each product. Once you register for free, you can decide which products you want to sell. To earn money in this way, you must connect to the product at the time of sale by using a unique tracking ID. Then the sale will be credited to your account. Selling an Amazon product can be very easy. All you have to do is place a link in social media and in your blog. You can get thousands per month, but be prepared to take a lot of time, go out of your way and plan a lot. The efforts will most likely be worthwhile. To maximize your Amazon revenue, you need to develop a website where to sell your products. You can build the site yourself if you are familiar with HTML or similar programs and codes. It is essential that you determine the niche of your website. Some niches are much more lucrative than others. It would be best if the profitable niches were in line with your hobbies or interests. Therefore, you have to find a balanced relationship between profit and passion in order to get the page until it starts making money. The right keywords are very significant. If you want to rank your site in search results, make sure that not all searches are the same. Some will be difficult to evaluate but will generate the most revenue. In that case, I recommend programs like Long Tail Pro to help you find the best keywords and differentiate yourself from the competition. For many years, many people sell private label products through Amazon. The profit potential of the Amazon FBA program is huge. You need to create a product, choose a manufacturer and start selling this product on Amazon. It's not as hard as it sounds. This approach is different from the typical retailer where you buy cheap products and sell for more. Selling private label products gives you more control over how your products are sold. There is less competition if you choose your products properly, so you can make more profit in the long run. Once the product is available to you, you can upload details to Amazon for users to buy there. As the largest online retailer in the world, Amazon also handles the packaging and shipping of goods to customers. Choose a product to sell - you need to do market research to see if your product is sold or not. To bring your products to the top, you need to develop a link building plan with specific tactics. These include guest contributions and influencer marketing. You should use these tactics to increase your chances of success. Guest posts on websites will get you followers and bring them to your website. In addition you get a part of the authority of your customers for your Website. To gain market share, you must first sell your product for as little as possible. With a low barrier to entry, not only will many people shop early, but also leave ratings that you will use in the future to increase your revenue. They can help you spot market demand with retail arbitrage and sell low-cost Amazon products at a higher price. Some products are more expensive on Amazon because of various factors such as ease of purchase, availability in your region, etc. In this case, the product is already on the market. You just have to buy and ship it to let it sell on Amazon. They make money as soon as the users buy the products. One risk here is that users will not buy your items. You can lose money through your initial investment in these products. In addition, their value will decrease over time. The advantage of this strategy is that you do not waste time thinking about creating your own product. Click here to read about Top POS System – The best winery POS Software. 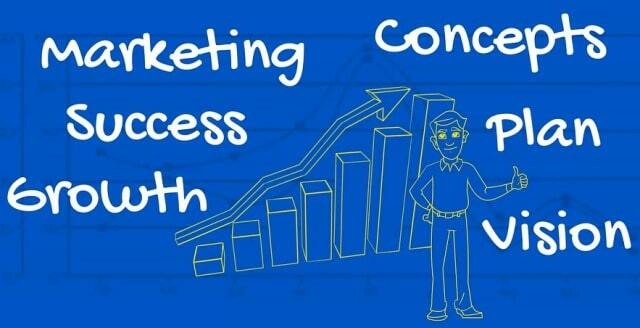 I hope you enjoyed this blog post about the core concepts of marketing and how to take your business to the next level. Interested in more articles about marketing and brand building?